Prepare kids for real-world relationships with these stories. Making friends and keeping them are important skills for healthy childhood development, but how do we help our children build these skills? One great way is by reading books together. 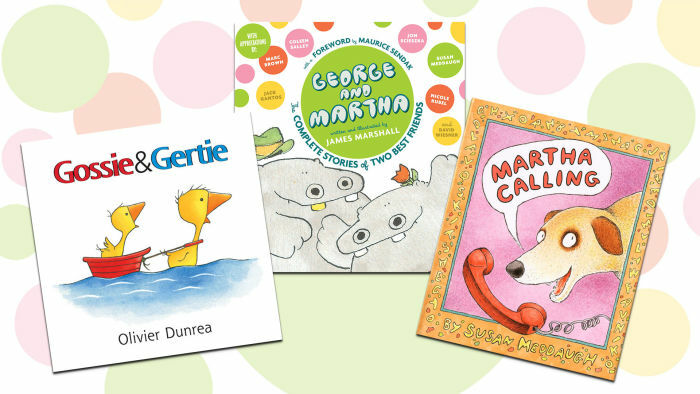 From funny stories about finding and building relationships, to beautifully illustrated picture books about acceptance, collaboration, and overcoming conflict―books about friendship can give kids a “road map” to developing long-lasting social connections. As a parent and a child psychologist, I have found that book characters can become children's “first friends.” When my son was young, the worlds of Bob and Otto, Frog and Toad, and Martha became predictable places we could return to again and again. He looked forward to exploring the dramas and resolutions each book contained, and then he was ready to practice what we had read in the real world. Here’s a list of 10 recommended books that help build friendship skills. This beautifully illustrated story is about two friends who find themselves needing to part ways for a brief time. When their paths cross again, they realize the lessons learned about themselves during their time apart can enrich both of their lives. Fuzz is always late. Curly is always early. These adorable sheep are very different, yet still have a place in each other's heart. Help your child learn about accepting differences with this interactive eBook, available in the Curious World App. Sign up today with code CW_20 for 20% off your first year of unlimited books, videos and games! Follow these lovable hippos and best friends forever, as they learn important lessons about kindness, fairness, effective communication and even privacy and respect. The beauty of these books is found in the acceptance these friends have for each other—even when they disagree. Oscar the rabbit is worried that he won't make friends in his new town—but he soon learns that new friends can be found—even in unexpected places. Perfect for children transitioning to new settings. “People are people are people” is the theme of the charmingly illustrated book that is equally entertaining and insightful. Young readers will love the story the pictures tell, and preschoolers will be introduced to concepts like diversity and mutual respect. This is a social skills “how-to” for the preschool set. And while the book provides concrete steps for making and keeping friends, dealing with bullies, resolving conflict and coping with shyness, the imaginative illustrations help the guide read like a whimsical story book. A classic from my childhood; I remember asking my father to read this book to me over and over again—and my son and I have done the same. Frog and Toad show us how true friends care for each other while exploring the joy that comes from grand adventures shared with best buddies. Our copy of this beautiful picture book is falling apart due to wear and love. My son used to giggle with glee about the mischief these lovable goslings would find on the farm. However, the stories show children how to problem solve when friends want to engage in different activities and how to manage upset when a friend has trouble following directions. Here, the creator of Knuffle Bunny brings us into the world of a monster who can't scare anyone. Leonardo tries to frighten a little boy who gets nervous at bed time (I know . . . but wait for it) and a remarkably beautiful friendship follows. The book explores friendship, but also concepts like self-esteem and bedtime anxieties—and what to do when you are a terrible monster but a great friend! I stumbled across this gem more than a decade ago and have been grateful ever since. Martha is a dog adopted by a family. One day, Martha amazingly develops the gift of gab! And when Martha starts talking, everyone listens. A delightful story about the friendship between families and their pets, this book also explores the importance of patience, tolerance, and a love of alphabet soup. Oh, and there are added benefits to reading books about friendships with your children! 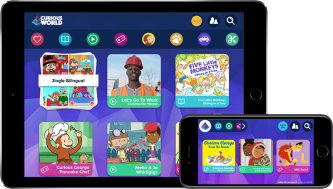 These stories not only support early literacy, language comprehension, and word recognition, but also help kids understand complicated concepts like giving and receiving, handling emotions, and human diversity. What are some of your family's favorite friendship books? Tell us on Facebook!